When I came to Nashville in the early ‘70’s, the Outlaw Music scene had long been percolating, but still had not become a commercial force in Nashville, and certainly not on a national level. Johnny Cash had launched a prime-time network television show that was more Middle America than outlaw. He was solidly ensconced in Hendersonville, TN, and though actively recording, seemed more into staying close to home and his wife and family at the time. Willie Nelson had fundamentally “retired” from the Nashville scene, left his RCA recording career under producer Chet Atkins, and had gone back to Texas. 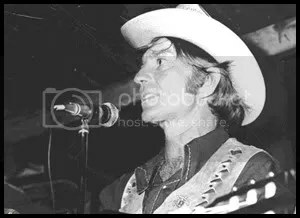 It was his appearance at the 1972 Dripping Springs Reunion that I believe was the demarcation point in the outlaw movement, and inspired the Willie Nelson 4th of July Picnics that began in 1974, where I had the unique experience of coordinating the press. Waylon Jennings had, at the time, probably the most active country music recording career, and despite his own battles with the RCA brass, was forging a successful path on the country charts with both singles (the likes of “Hard Headed Woman”) and albums. Country music in the early ‘70’s was over-reacting to its own rhinestone self-consciousness. Business suits had made hillbilly fashion designer, Nudie, a relic that hung on through the careers of artists such as Porter Wagoner and Hank Snow. It was the era of “countrypolitan”. The indelible country voices of George Jones and Conway Twitty were restrained by neckties and leisure suits. The musical formula of successful producers, such as the legendary Owen Bradley and Billy Sherrill had virtually blueprinted the commercial format at country radio. Billy’s production style was more modern and was on occasion referred to as “the country wall of sound,” in an off-hand reference to Phil Spector’s production template. However, Billy was far more prolific and focused, and he was on a roll with hit after hit. 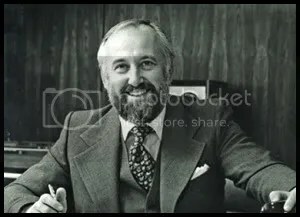 Atlantic Records’ Jerry Wexler was one of the few music executive outside of the country music mainstream to attempt to exploit “new country”. He launched a new Atlantic country initiative with the signing of Willie Nelson in 1973. Led by young Nashville label head, Rick Sanjek, the label was greeted by skepticism from many of the Nashville old guard. However, the new crop of young writer/artists beginning to come to Nashville saw Atlantic as a ray of fresh light outside the inside political control of traditional country. 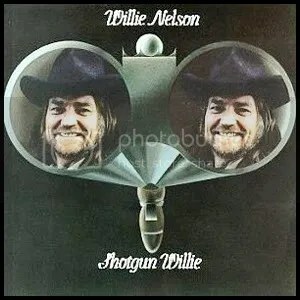 Willie’s first two albums on Atlantic stirred the critics positively with “Shotgun Willie” and “Phases & Stages” albums, but sales did not develop as quickly as WEA wanted and the Atlantic Nashville label office light sadly flickered and died after just a couple of years. Already deeply established, CBS Records and its Columbia and Epic labels had a somewhat different approach to growing its Nashville operations. They were extremely active in crossing over the bigger country artists to the pop world since the late sixties. Charlie Rich, with “Behind Closed Doors”, Tammy Wynette, with “Stand By Your Man”, Lynn Anderson, with “Rose Garden, and Johnny Cash, with “A Boy Named Sue”, all had spilled giant hits over into the mass pop market. Other labels such as RCA and MCA were doing the same thing. Rather than step on this enormously profitable stream of hit product spearheaded largely by Billy Sherrill’s production efforts, the NY brass at CBS signed more pop leaning acts out of Nashville. They did not want to internally compete, head-to-head with Billy’s acts at country radio, as any encroachment of new country would not necessarily sit well with Billy and his cadre of publishers, producers, and artists. Acts like Dave Loggins (“Please Come To Boston”) and Dan Fogelberg were not seen as country acts and therefore, Billy could certainly live with them emanating from the same office. It was a tightrope that Bonnie Garner, Ron Bledsoe, and NY A&R exec Don Ellis, in particular, walked. Since Willie had left Nashville and fundamentally turned his back on the country music political machine, it is a safe bet that Billy Sherrill was not particularly enthused when Bruce Lundvall, in New York, wanted to sign Willie. Willie, after all, had already penned a few country standards, and he could be seen as a threat to garner valuable country radio airplay that was reserved for the much more commercial country hits that Billy was delivering. If Billy wasn’t enamored with NY signing Willie Nelson, it was easy to understand. He was the brilliant writer/producer who had virtually carried CBS Nashville on his back in those days. Why mess it up? Why get distracted when he was delivering the hits… and ones that were selling albums. And Billy’s perceived defensiveness, combined with his success, established an aura that intimidated many New York music executives. He enjoyed stimulating this aura with sharp-witted comments and an anti-New York sentiment, that in his defense, I felt was very much tongue-in-cheek. But Bruce Lundvall also had musical vision. He understood Billy’s success and position in the Nashville hit system. As President of Columbia Records in New York, he had to be sensitive to the ego and feelings of Billy Sherrill. In signing Willie, he was responding to the organic momentum that was ready to spill out of Texas for Willie. 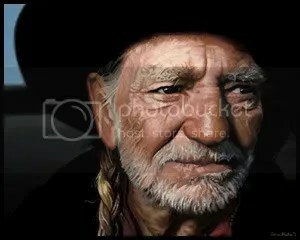 I believe he knew that an artist like Willie needed to be treated more like the pop and rock artists in New York. 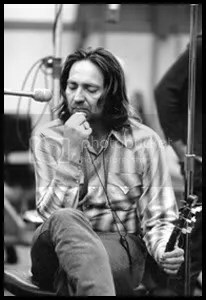 Willie also had a New York manager, named Neil Reshen, who aggressively worked the record company, unlike the country artists and their managers who were often more passive in those days. Bruce gave Willie creative freedom when he signed him. As a hands-on producer and label executive, Billy Sherrill must have thought this was insane. Certainly, he would not be expected to encourage this deal and probably saw it as New York interloping on his territory. However, if Willie Nelson failed on Columbia, it would only make it more difficult for “outsiders” to penetrate the successful promotion and sales machine that was generated by CBS Records Nashville. In the meantime, I had only recently joined CBS Records in Nashville in the spring of 1974. Along with my assistant, Mary Ann McCready, we launched the first publicity department for a major label on Music Row. Other than a national country radio promotion head, labels in Nashville in those days had no other marketing oriented personnel in Music City. Our job was to maximize the media exposure for the country roster. These artists had extremely dated photos and bios… if they had them at all. We worked very hard in the first few months of the new publicity department to write new bios and create a basic photo library that presented the Columbia and Epic artist rosters more respectfully. I think Billy was very happy with our diligence to serve these artists. The acts were very thankful and enthusiastic about our efforts. As a couple of Yankee kids in the country music business, Mary Ann and I were earning trust with this veteran roster of mainstream country artists and we had a wonderful time exploring this new avenue of media. Since Willie was essentially signed out of New York, and the album had not been delivered yet, I really had not had any specific involvement or any day-to-day connection with anyone in the Nelson camp up to that point. I had been Southeastern Editor of Record World Magazine, a business trade publication, so I did know Nick Hunter, who had been head of country radio promotion for Atlantic Records. Nick had established a very strong relationship with Willie, so when the Atlantic office in Nashville closed, Nick went to work for Willie. So the phone rang one day, and it was Nick. He told me that they had delivered the first Willie Nelson album for Columbia to Bruce Lundvall …and Bruce was very upset. Nick went on to explain that the album was a concept album that included both songs that Willie had written and some other material written by other writers. He admitted that it might seem like a bit of a hodge podge. He said that the album was also a very straight-forward, stripped-down, simple production. Bruce said something like “It sounds like they recorded it in Willie’s kitchen”, according to Nick’s conveyance. Bruce was not immediately prepared to accept the album as delivered, perhaps thinking that Willie took the advance money and delivered an album that cost a couple of thousand dollars to produce. Maybe Willie had simply gotten cynical about a Nashville major label recording deal and was cashing in. Take the major label advance and give them whatever… without any expectations. This whole situation could make Bruce look very bad… when in fact, he had extended himself and trusted Willie and given him unusual creative freedom. And Willie was possibly laying an egg. Nick said, he needed help. He wanted to play the album for me and have me, as someone young and plugged into Nashville, to call Bruce and reassure him that the album was good and he should accept it. After listening to Nick’s exasperation of having to be the middleman for Willie, who was very happy with the album, and with the volatile Neil Reshen involved, my first thought was who would possibly care what I thought? I had no clout. I was a publicist… and an inexperienced one at that. I also could not get myself caught in between two industry giants the likes of Bruce Lundvall and Billy Sherrill. Nick pushed on. He needed help with Bruce and he knew he couldn’t go to Billy in the Nashville office. As an A&R person, Bonnie Garner was probably already caught in the middle. Who could go to bat for a raw, under-produced album, not necessarily made for country radio? After scrambling for some thoughts, I called Nick back within the hour and suggested the only idea I could think of. What if we pulled together the local press in Nashville for an off-the-record listening session to get their initial impressions of the album? We would ask them not to write about it. We were just looking for their insight. Nick was game for just about anything that might help avert an ugly stand-off on the first album delivered from Willie Nelson to Columbia Records, and with Neal Reshen likely to pour gasoline on the flames! I called Bruce Lundvall. I’m a kid of 24, a few months into my first job at a major label. And Bruce picked up my call. I told him that I had spoken to Nick and was told there might be a problem with the album. I added that Nick and I had discussed the idea of pulling together the handful of music journalists in Nashville to get an off-the-record response. Bruce, always the gentleman, was very warm and friendly on the phone and said he would be very interested in hearing the impressions from this listening session. I’m sure he was being polite to a young, naive kid just getting started in the music business. The Nashville music scene in those days was microscopically small. We invited Bill Williams from Billboard, Don Cusicfrom Record World, Juanita Jones from Cashbox, I don’t remember who from the Music City News, Jerry Bailey from The Tennessean, Bill Hance from The Nashville Banner, and Bill Littleton from Performance Magazine. Of these publications, only Billboard and The Tennessean exist today. And today, it would seem remarkable that we could get these people together, on their word, not to write about the album, but help give us perspective and a reaction to it. In retrospect, I believe everyone there understood the unspoken issues. The writers wanted a Willie Nelson to happen. They wanted something new and fresh to emanate from country music and Nashville. This small group of writers had modest clout, and were arguably viewed as utility media, rooted in the week-in-week-out business of commercial country music. This was not the root of earth-shatter news reporting. However, most of these writers had covered music events in Austin and elsewhere in Texas first-hand, so they understood how big Willie’s star was in that lone state. They all hurriedly gathered at the Exit/In the following afternoon. Along with Mary Ann and me from CBS Records, Ron Bledsoe, who was VP of A&R and Operations, and Bonnie Garner from A&R. Both were the biggest allies to new ideas and thinking in the CBS building in Nashville. And of course, Nick Hunter was there. There was no finger food. No table cloths. There was the lingering aroma of stale beer from the evening before. It was just a dark club with no one there, save one waitress, who came in early to serve drinks in the middle of a dull afternoon. The album was called “Red-Headed Stranger”. We knew it was a concept album, but at the time, I don’t think we lingered on the concept too much. I believe Nick gave a brief and understated overview. We put it on and let it play! As cut one faded there was a pause as the needle passed the silent band between tracks on the acetate test pressing. The room was silent too. Track two played and again faded to silence. I’m not sure what I expected, but as we went deeper and deeper into the record, no one made a comment after each subsequent song played. It was unsettling and a little scary. I was starting to think it was going to get a little uncomfortable. That is, until “Blue Eyes Crying In The Rain” ended. At that point, Bill Littleton, a tall, thin, gentle man, with coke bottle glasses, who harkens up the visual image of fair-haired Abe Lincoln, slowly rose from his chair in the dim shadows of the club. As he stood towering over the handful of listeners cobbled together at four or five tables in the center of the room, he didn’t speak. Slowly and methodically, he began to applaud. And he continued, standing there alone, applauding. It was a one-man standing ovation! Within moments, others began to rise and join Bill in this very deliberate statement about the album we were hearing for the first time. One-by-one everyone joined him. As the remainder of the album played, the entire energy of the room turned electric. This was a great album! Suddenly, on one listen, no one was afraid of it! I called Mr. Lundvall when I returned to the office. I told him what a remarkable thing that we had just witnessed. He thanked me for the input and we hung up. I called Nick Hunter to let him know about the conversation. It may have been a day or two later that Nick called me to tell me that Bruce had accepted the album, as is. However, there was never any indication that our little listening session had any influence in Bruce’s decision. I hope we gave him a little support in a very solitary moment. It was a decision he probably didn’t relish making, and a decision that had potentially big internal political consequences within the company if he was wrong. I got to thinking about how Bruce had gone out on a limb to sign Willie. Certainly, the naysayers in the Nashville establishment could criticize this signing. Willie hadn’t sold records. Was it all hype from Texas, and could it really spread? Was the company going to divert its promotional muscle to work this record? It was an unpolished recording, unlike the veneer that country radio wanted. And by God, the man was older, had long hair and a ponytail in an era when some prominent country male artists actually sported flat-tops! Where was the support from Bruce’s own company in Nashville? Where was the support anywhere in Nashville? It only came from a small group of journalists that felt more responsibility to the music than to getting a press scoop. I am not sure you could get that cooperation and especially that spirit today, that we so thankfully received from that rag-tag group of writers. We benefitted from the process of print media. Deadlines and publishing weren’t instantaneous, as they are today. There was a measured sensibility that allowed this group to come together, listen, and not write. The pressure today is to push ‘send’ and deal with the consequences later. No one felt they had to have the scoop. No one tweeted from the listening session. I don’t think those writers ever saw themselves as a powerful group. However, they gave us validation. Whether he needed it or not, it gave Bruce some justification in his decision to accept the album. 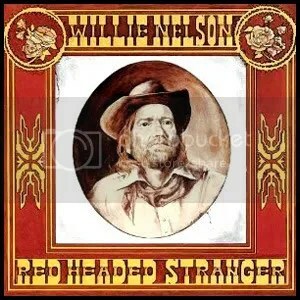 The legend is that Columbia Records was reluctant to accept “Red-Headed Stranger” when Willie delivered it. Bruce Lundvall, a legend and great music man, may have simply gotten tired of taking Neal Reshen’s calls and said, “Okay, okay, I’ll take the record!” He was surely going to be criticized by the ensconced old-school who had given up on believing Willie Nelson could sell records. We all know though, that this is an album that swayed and accelerated a new direction for country music, ironically by the incorporation of older songs and with a simple, stripped-down retro recording. …But whenever I hear “Blue Eyes Crying In The Rain” these 35 years later, I’ll never forget Bill Littleton slowly rising to his feet alone… and being the first to bless one of the pivotal and critical albums in country music history. …And whenever people think of Bruce Lundvall, you always hear references to his unfailing support for great musicians who may not have been at the forefront of sales success. He was there for great music. He was there for the jazzmen and the blues artists and he somehow made it commercially viable and created an environment where this brilliant music survived and prospered. However, in these days when Bruce was recently awarded a Special Merit Award from the Recording Academy for his huge creative accomplishments over his career, we should make sure that his contribution to the evolution of country music is remembered as well. Willie Nelson didn’t stay “retired” in Texas. Columbia Records got behind a unique album and a legendary artist and a legendary musical movement found traction. C 2011 by Dan Beck. All rights reserved. Dan’s article was great. I enjoyed reading it very much and I had totally forgotten about the meeting of journalists in Nashville. It’s really a fabulous story and a proud moment in my career as well. Did Dan Beck know about Waylon Jennings coming to my office with Neil Reshen? That was the first time that I heard the Red Headed Stranger album. One of my first reactions of the album was that it sounded like it had been done in someone’s living room. Waylon jumped onto my desk, and said “That’s what Willie Nelson is all about. He doesn’t need a producer.” I’m sure that’s why Neil Reshen brought Waylon to my office in the first place. I fell in love with the album over the weekend as I listened to it, and presented it to the Columbia Records staff as something that was near to Willie’s heart and would end up being as a collector’s item. I never thought it would sell at all. I gave everyone a copy of the acetate to listen to. Little did we know it would end up selling over 3 million copies. Please give my best to Dan Beck. Tell him did a great job on this… it’s a great story, and it’s true. I just read your story on Willie! It is your best story yet! At least, of the ones I’ve read. I never knew that part of the story, but I did spend time with Willie and Bruce in subsequent years. The respect and affection between them was sincere and obvious.Willie always appreciated what Bruce did for him. I am sure your story played a key role in helping Bruce make a tough decision… and, as usual… it was in favor of the artist.Great initiative on your part! and at 24! Of course, your own fascination with music, artists, and the music biz comes through clear as a bell as well. I was writing for the Austin Sun in 1975. Didn’t know what I was doing, but I was their typesetter and also loved music, so they made me the music editor. No writing experience at all. A friend of mine, Bill Bell, made silver belts for Willie, beat out of old nickels. Bill got an advance cassette of Red Headed Stranger from Willie, and asked me if I wanted to review it. I would be the first person in the country to do it. Sure thing! I went home and played the album but didn’t really hear it. I think it was too different for my ears; it wasn’t what country music sounded like then. So I wrote a mediocre review. The next day I typeset it, and the art director pasted it down on my page, called Bentley’s Bandstand. That night, still one day before the Sun went to press, I smoked a joint and listened to Red Headed Stranger again. I was stoned, and of course I immediately got what Willie had done and what a work of beautiful art the album was. Terrified I’d blown it, I snuck into the window at the Sun that night, typeset a brand new review raving about the album, and pasted it up on the page where my earlier review had been. I basically said a new day had dawned in country, and Austin’s very own Willie Nelson was the creator of it. Whew. I still thank my lucky stars I got high that night and heard what Willie had done, and knew how to typeset and paste up my own copy! Dan, Thank you for sending this. Whew!!! I always assumed there were parts of the story I didn’t know, but you have really spread clarity out like laundry on a line on a bright afternoon!! I’ve long considered that afternoon a major landmark in my life and I’ve endeavored to ALWAYS be free to express my feelings. I may not say much if I’m not impressed, but you ALWAYS know what I like!! !